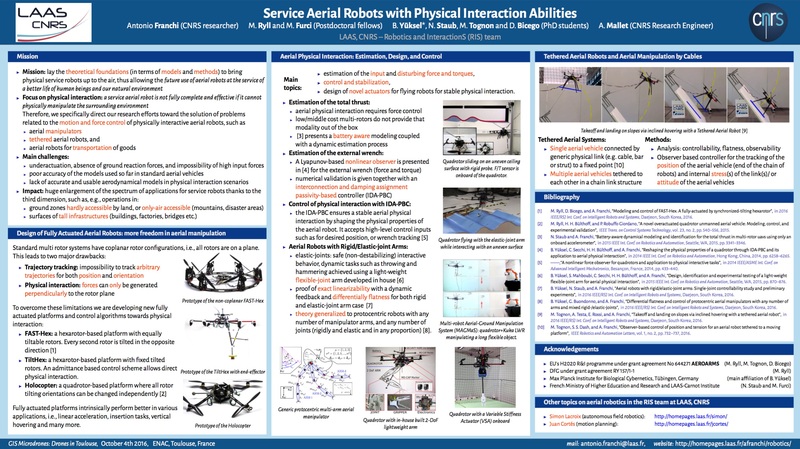 We present the design, motion planning and control of an aerial manipulator for non-trivial physical interaction tasks, such as pushing while sliding on curved surfaces – a task which is motivated by the increasing interest in autonomous non-destructive tests for industrial plants. The proposed aerial manipulator consists of a multidirectional-thrust aerial vehicle – to enhance physical interaction capabilities – endowed with a 2-DoFs lightweight arm – to enlarge its workspace. This combination makes it a truly-redundant manipulator going beyond standard aerial manipulators based on collinear multi- rotor platforms. The controller is based on a PID method with a ‘displaced’ positional part that ensures asymptotic stability despite the arm elasticity. A kinodynamic task-constrained and control-aware global motion planner is used. Experiments show that the proposed aerial manipulator system, equipped with an Eddy Current probe, is able to scan a metallic pipe sliding the sensor over its surface and preserving the contact. From the measures, a weld on the pipe is successfully detected and mapped.